In the News (from The Guardian): “Biofuels more harmful to humans than petrol and diesel, warn scientists” The study shows that corn-based bioethanol, which is produced extensively in the US, has a higher combined environmental and health burden than conventional fuels… With biofuels, the problems are caused by particles given off during their growth and manufacture… Before we dedicate major resources to new biofuels, we should be trying to quantify other likely impacts to society – water quality, biodiversity and so on – and put all of those into our analysis. My Comment: There is only one way to avoid harm, which is to aspire toward similarity with Nature. The knowledge we will gain when we aspire toward bestowal and love will enable us to change correctly. We will understand how to change our social relations, how to build our trade and financial systems, which industries to develop, and so on. In the News (translated from Elementy): Research done on followers of the six major religions shows that people who regularly attend services are more prone to religious fanaticism and hatred for followers of other faiths, and are more likely to justify suicide bombers. My Comment: Religion is opposite to Kabbalah in every way (there is a verse that says, “The opinion of the Torah is opposite to the opinion of the egoists.”) Kabbalah directs everyone to attain love for all people. It explains that everyone is “of the same kind” – we are all cells of one body. Religion, on the other hand, generates hatred for “outsiders,” even to the point of self-sacrifice, which is done for the sake of killing those who are not “of your kind.” This is why religion will disappear when people will reveal the quality of “love for one’s neighbor.” Religions will then be reduced to folk culture or popular tradition. In other words, religion will let go of all the aspects that regard the Creator, the Upper World, the after-life, and reward and punishment. This will happen because the revelation of the Creator will expose religion’s emptiness and lies about these questions. This explains religion’s strong hatred of Kabbalah. 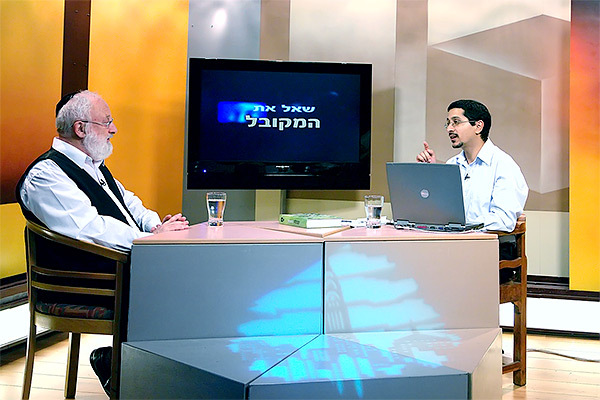 However, Kabbalah tells people that they can keep their religion as their tradition, and in addition, supplement it with the revelation of the Creator. Still, the religious leaders will then lose their main bargain chip, “reward in the afterlife,” and will become leaders of folk culture and popular tradition. Laitman.com Post: Why Do the Traditionalists Speak Against Me? My Comment: These actions won’t produce any results other than waste the last resources. The catastrophe is inevitable. My Comment: These young people have big desires, but not for anything that the consumer society, created by the past generation, can offer to them. They don’t want to live just to work. They have greater needs, and when they don’t see a way to fulfill them, they prefer to do nothing. The only thing that can cause them to become active is an explanation of how they can fulfill their specific desires. Therefore, when Kabbalah will be revealed to them, they will acquire a meaning in life. Kabbalah Today Article: What’s Happening to Our Youth?